BATON ROUGE — While waiting along the guard rails to take photos of the LSU Band marching into Tiger Stadium, a security official who happened to be an old friend grabbed me and said, “Hey, you’re marching with the band! Stand here!” Made to stand in the circle in front of the J-School, I took photos furiously. 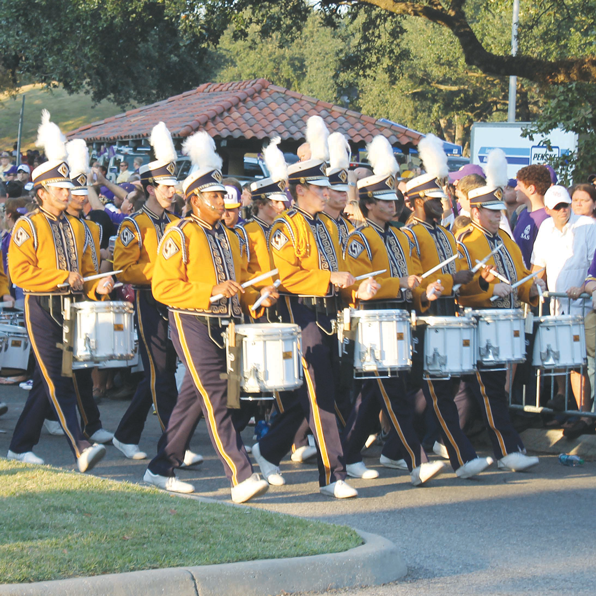 The friend said, “Get in behind the band and watch out for the horses!” I must say marching with the band through a gauntlet of 10,000 cheering LSU fans is quite an experience. By far the best way to enter Tiger Stadium!